This is not a comprehensive collection. 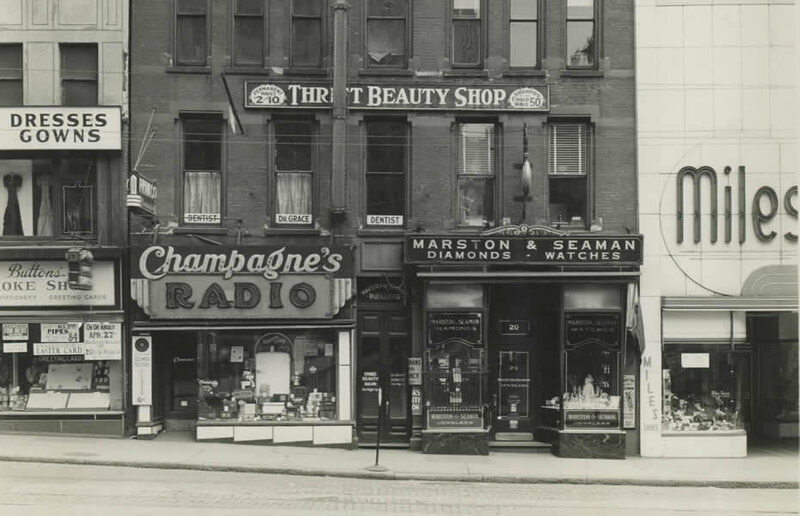 There's a lot to see over at the APL's online collection on New York Heritage. "Great Reduction in Prices Prior to Removal to 52 N Pearl St. May 1st" (maybe "moving sale" wasn't a thing yet). 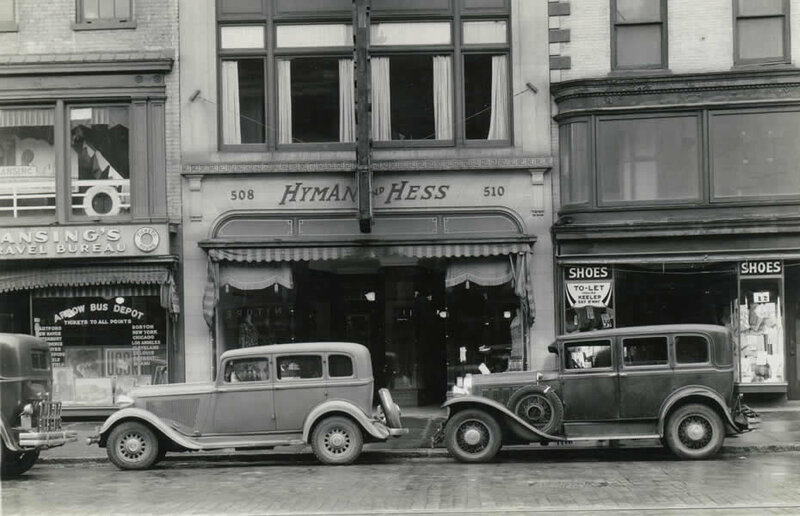 Hyman & Hess was a women's clothing store. 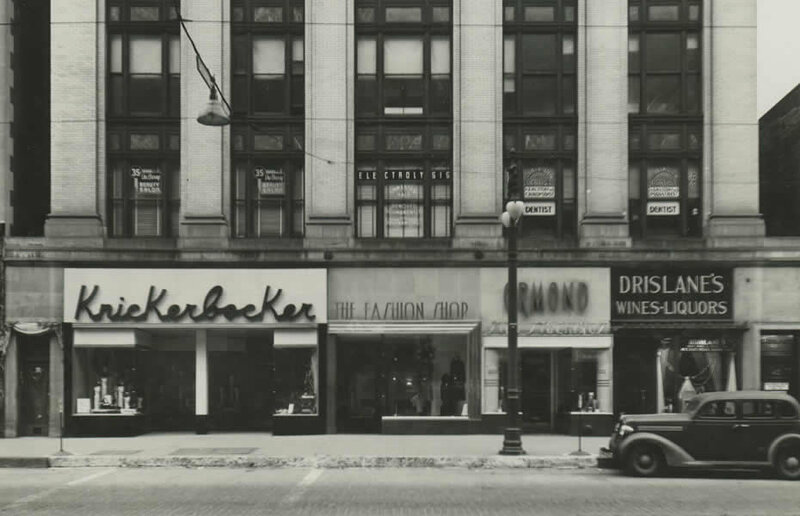 That "Knickerbocker" sign is great. 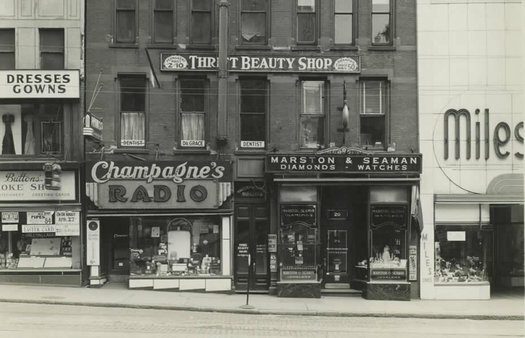 Love that name -- "Champagne's Radio." 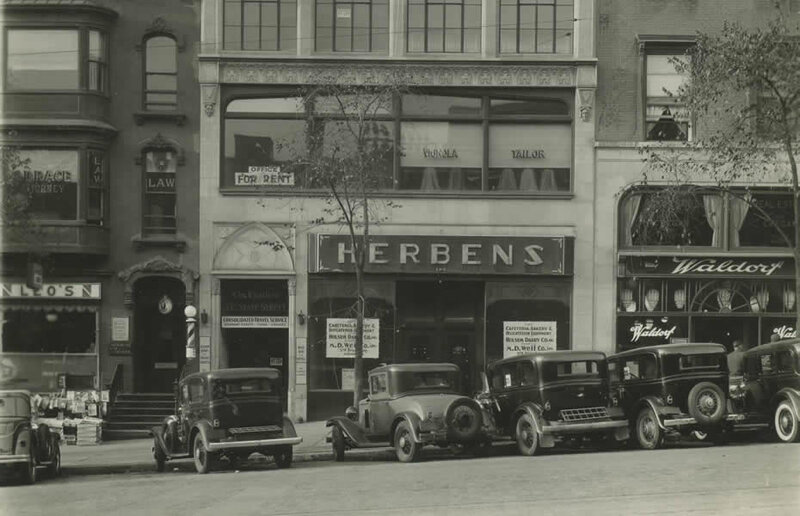 Check out the storefront for Danker Florists on the left -- the business is still in operation, now at Central Ave and North Allen. 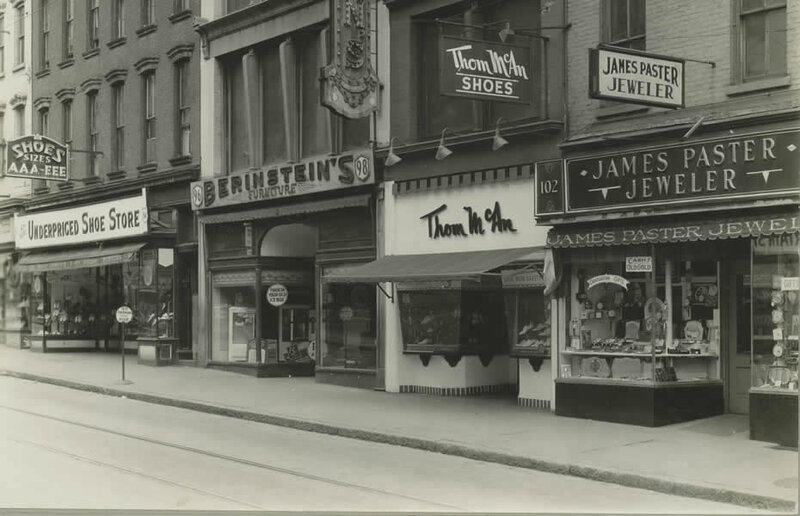 Maiden Lane, between Pearl and James, looking up the hill, undated. 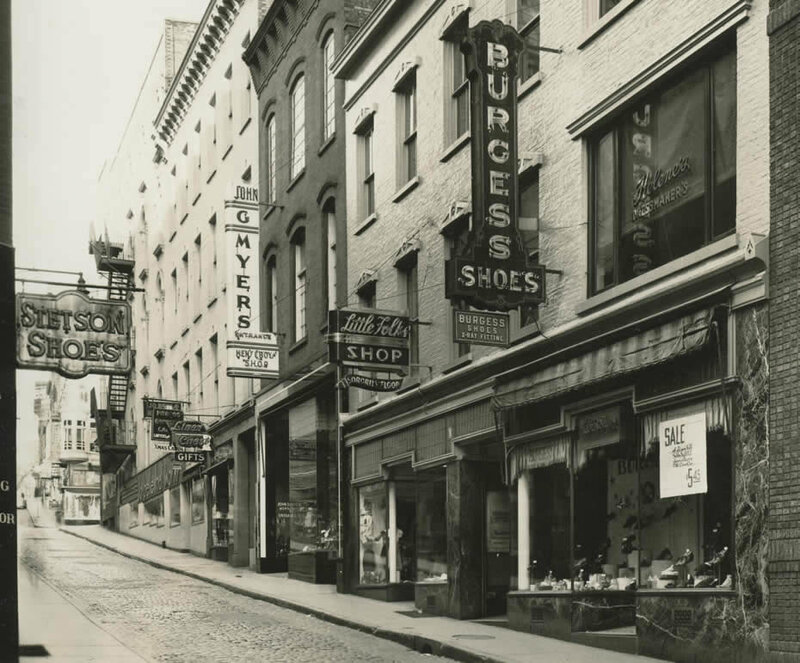 S. Pearl Street and State Street, 1945. 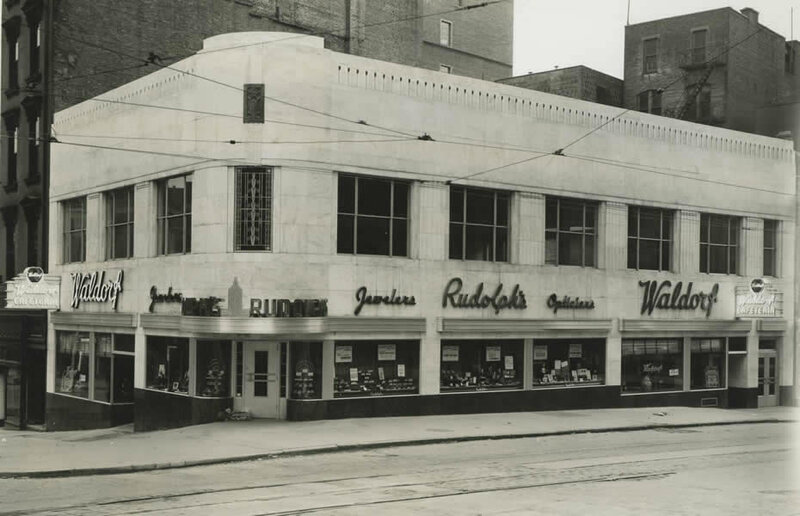 We've written about the Waldorf cafeteria before -- "There'll be good, fresh coffee at the Waldorf Lunch today. It's always the same." 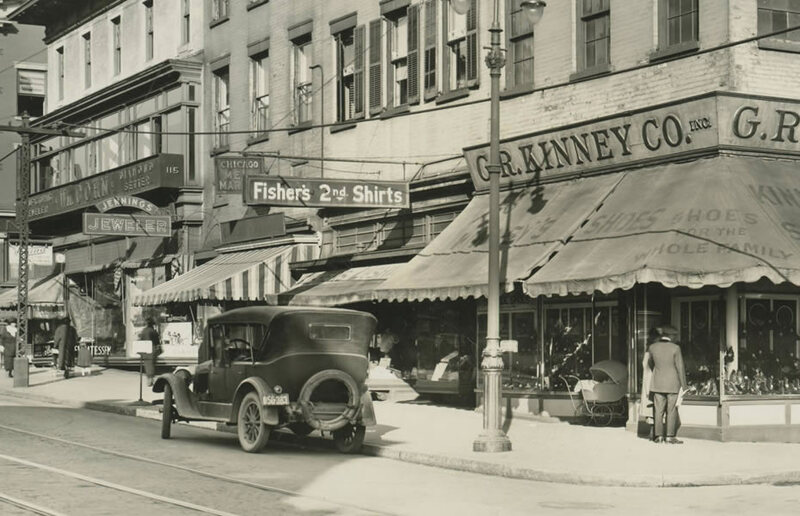 I love these old photos of downtown Albany! 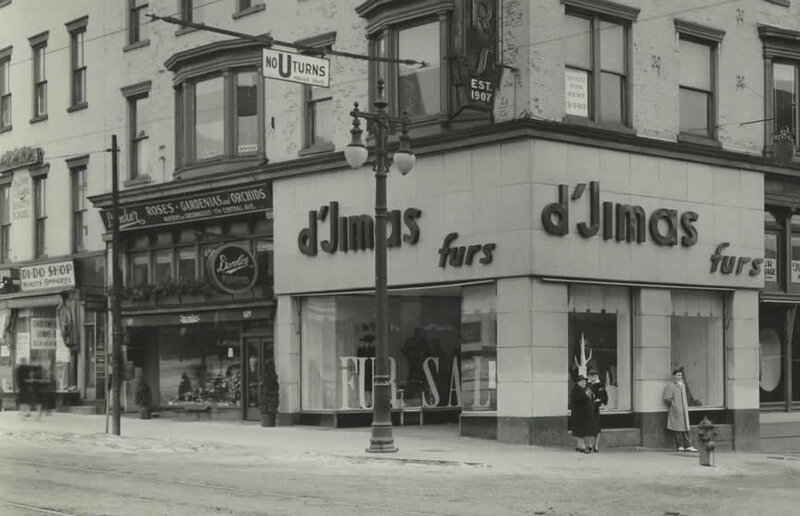 I still (vaguely) remember shopping there in the '60s with my mom. Fantastic. 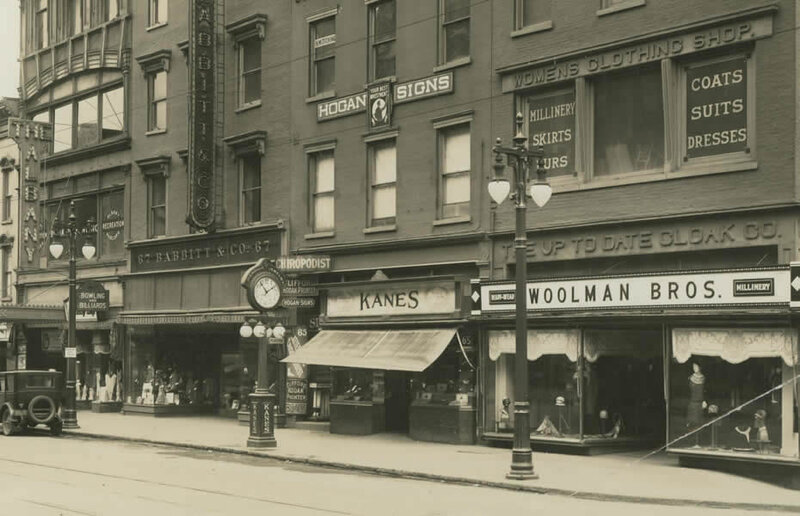 I loved the street light / clock sign on this pic, North Pearl Street between Maiden Lane and Steuben Street, 1926. 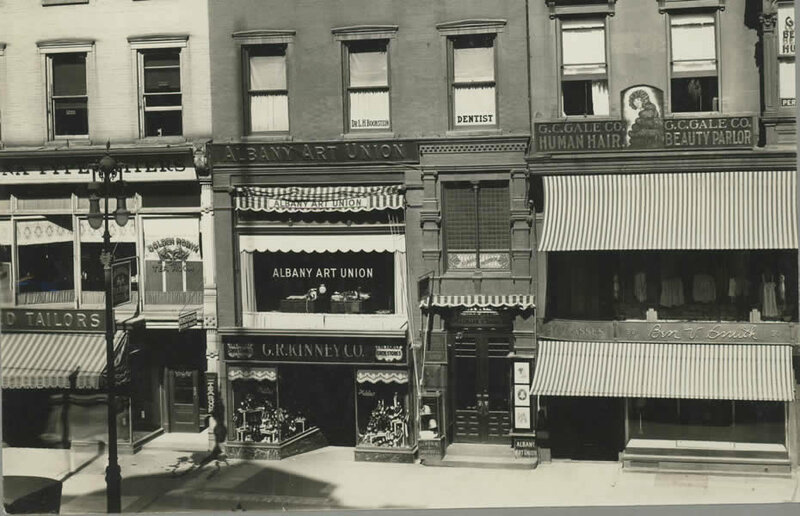 Lol looks like Albany was nice a long time ago. What happened? These are great photos - thanks. I believe one of them, however, is mislabeled. 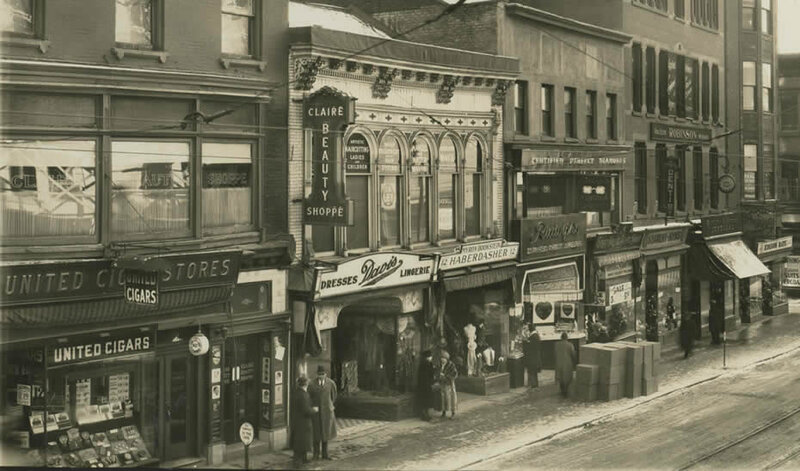 It reads "S. Pearl St. between State and Norton." I'm fairly certain that should be "State and Morton." State and Norton is correct. Norton still exists as a small side street on the east side of South Pearl a few doors south of State. It's little more than an alley now. 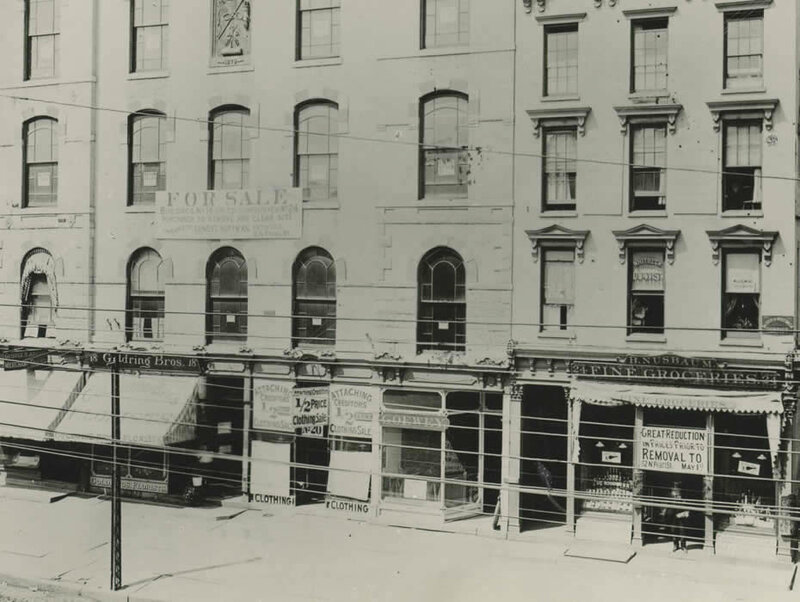 As a side note - Aaron Burr had a law office on Norton Street.